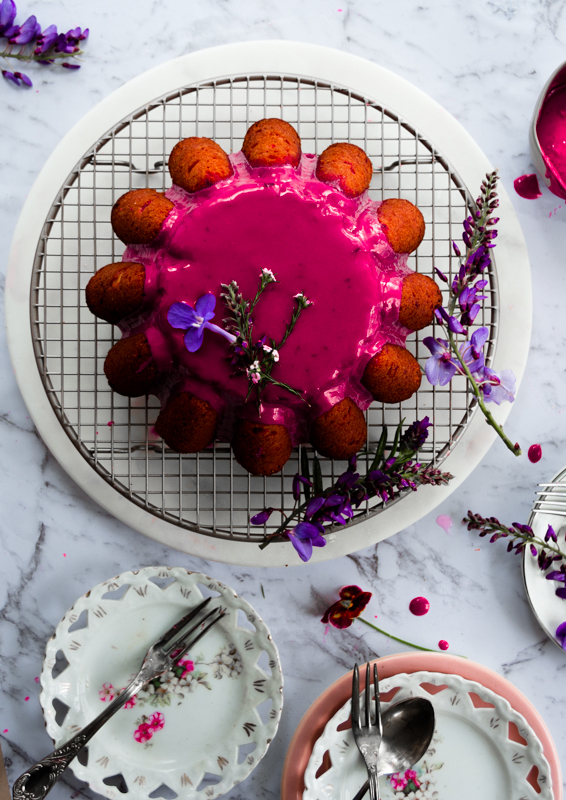 This blood orange beetroot cake will surely entice you for not only its distinct flavour but with the gorgeous colour too, drizzled with beetroot glaze is definitely a crowd pleaser. I promise you ! End of the September and we are already into the last quarter of the year. This quarter somehow drives me crazy in terms of deadlines, social engagement and planning for holidays too. 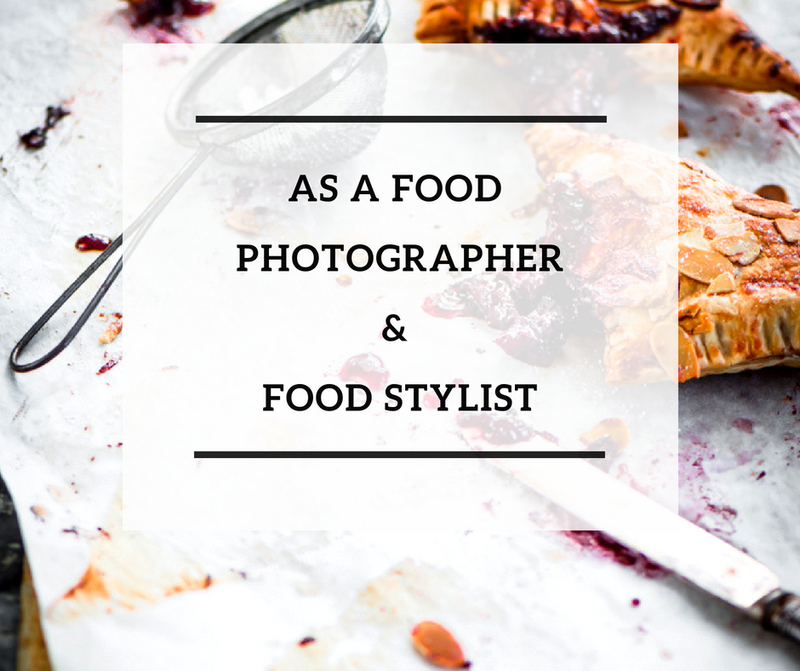 Retrospectively reminiscing, this year has been mercy on me in terms of my professional development and quite lot of exciting opportunities both in terms of styling and photography projects have unfolded my way. I am grateful to god and you my kind readers for showering your blessings. 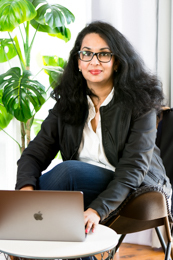 I am hoping that next year will be even more exciting and interesting. Fingers crossed. 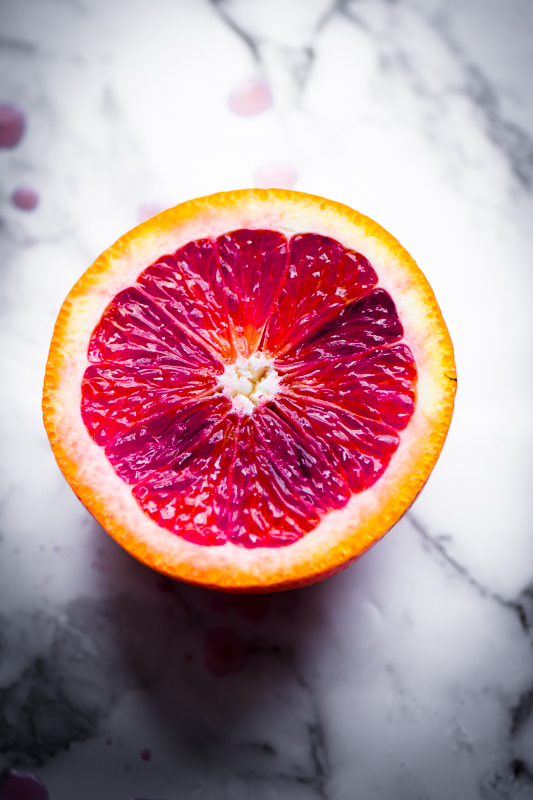 Before things can get crazy and blood orange simply vanish from the supermarket and our sight, let me spill the beans. 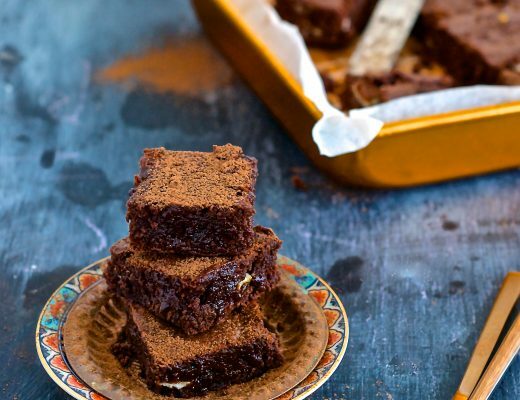 Now have you ever fallen in love with your bakes. Hmm.. 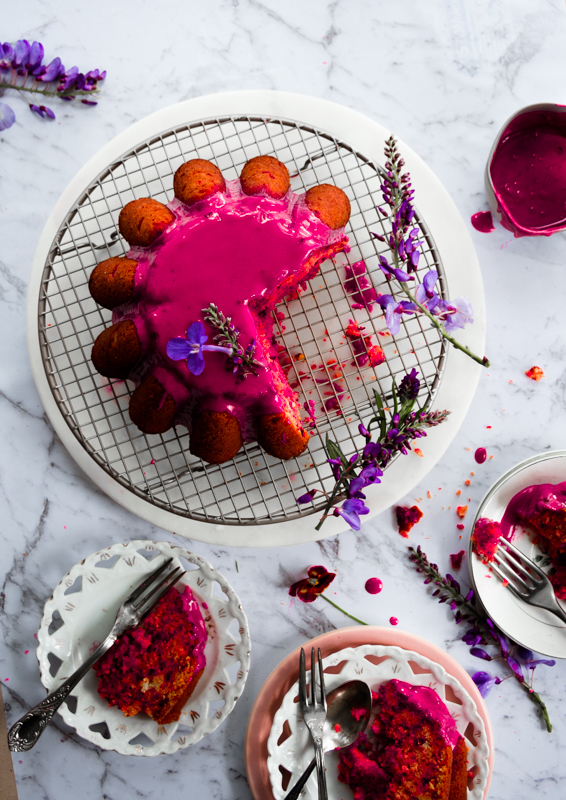 I have many a times, well today I am talking about this blood orange beetroot cake, Honestly this blood orange beetroot cake is phenomenal and every slice of the cake was joyful and divine. 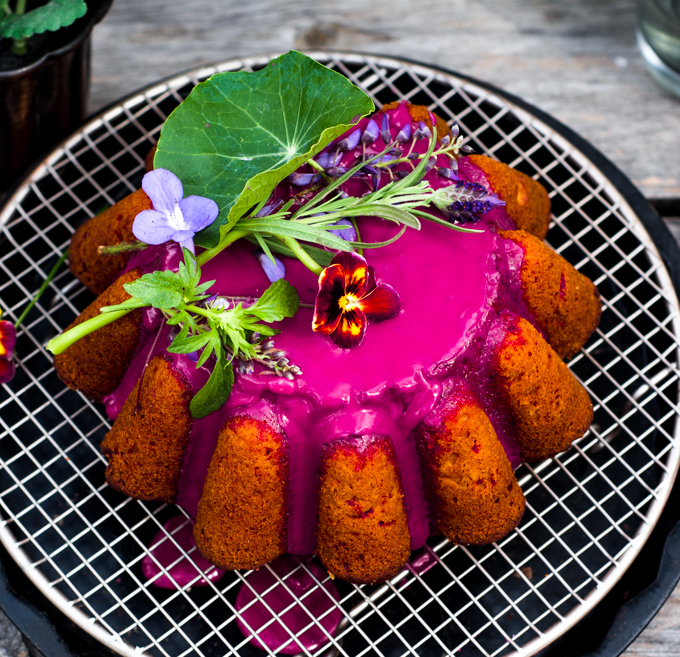 My boys have too literally fallen in love with the colour, texture and not to mention the taste. 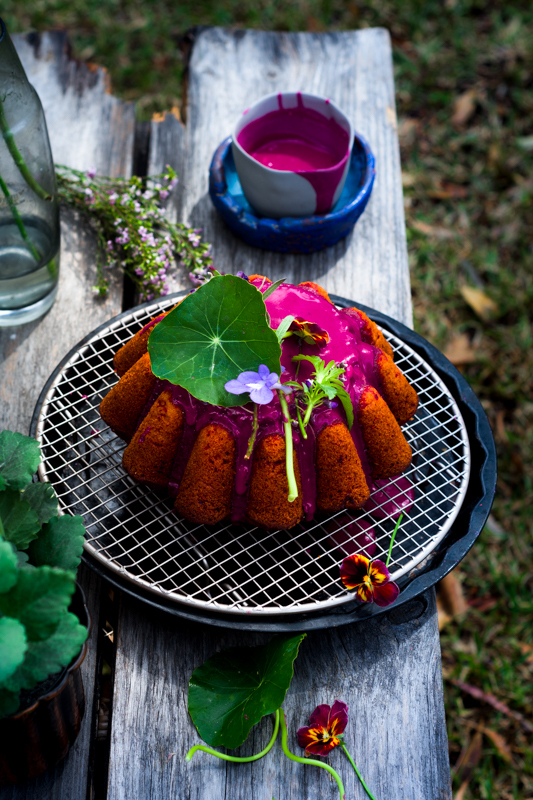 That beetroot glaze on the top the cake is a show stopper, I tell you and I am sure you would have guessed it seeing that gorgeous hues of pink. 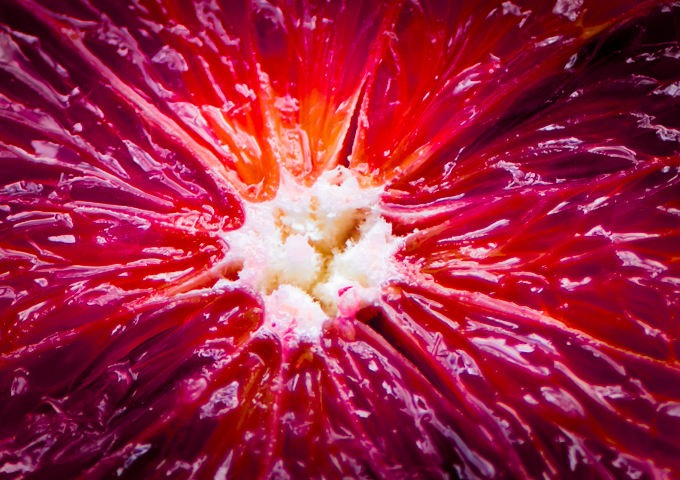 Blood orange, with its distinctive ruby coloured flesh of the fruit comes from its rich antioxidants pigments. I find them much sweeter and aromatic with a subtle hint of raspberry than regular oranges. Their gorgeous colour and not to mention their beautiful flavour sets them apart as the king of the citruses. These are seasonal and they hang around for a short period, roughly their season starts in the middle of winter and completely vanishing by October, promising us to back come next year with more robust flavours. So get your hands on them before it’s too late !!! 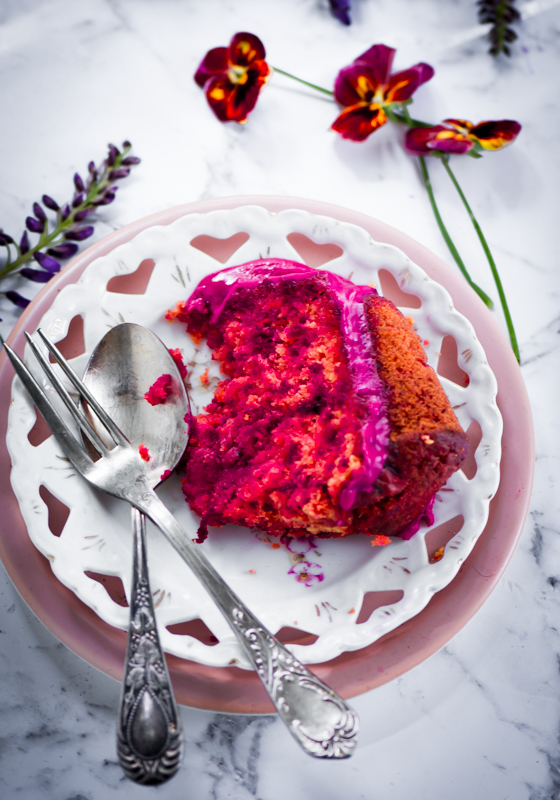 Beetroot pairs very well with this cake but if you are not a beetroot lover then I have baked this cake using carrots too. They both are amazing in terms of flavours and texture. 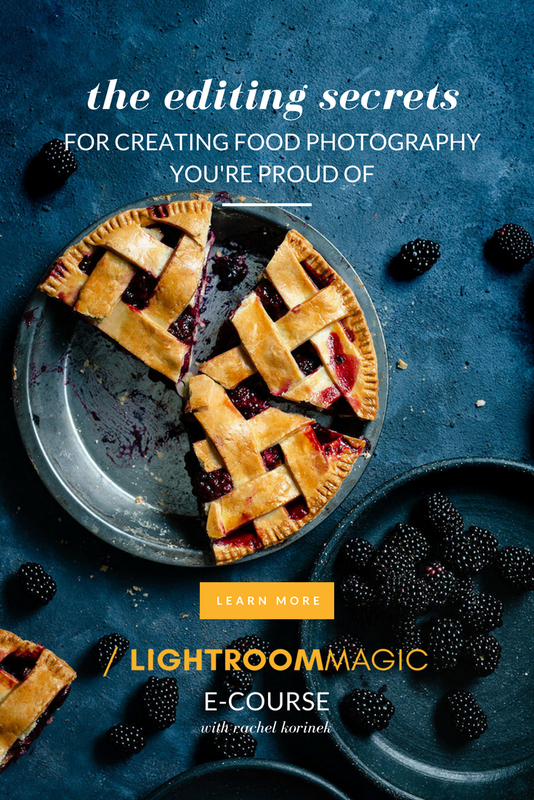 By now you must have guessed that orange is my favourite fruit, well yes or no because few of my insta creatives have noticed that I do bake a lot using this aromatic fruit. 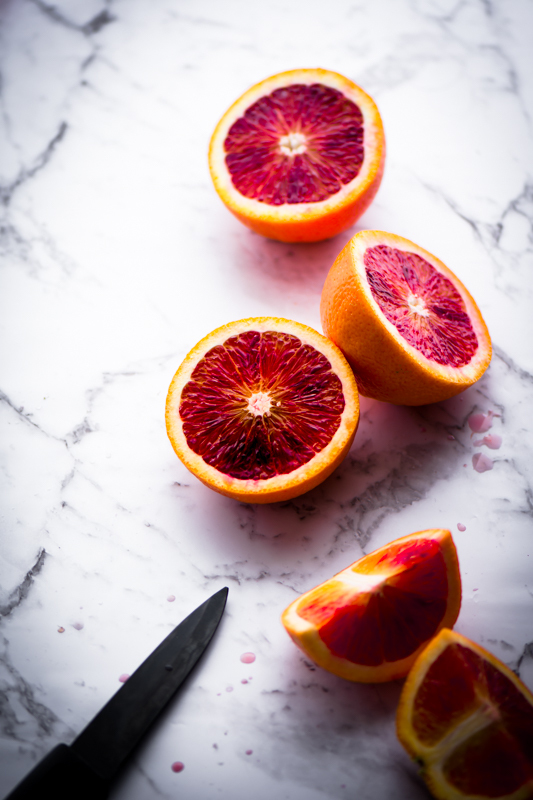 Now if you search orange in my blog, I have few classic recipes using this fruit and I reckon I am solely attracted to its zesty flavour and wafting aroma that fills the home. The freshness is noteworthy. 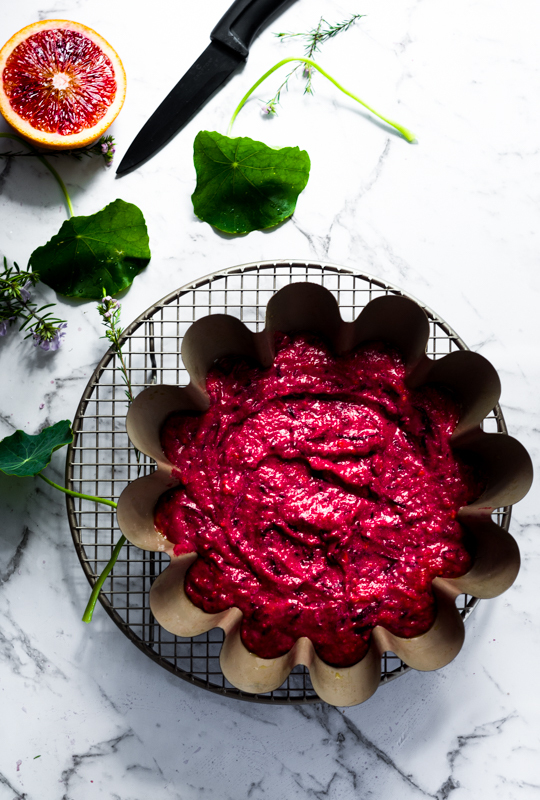 Coming to this hero recipe blood orange beetroot cake, I would say it is such a fuss free recipe. 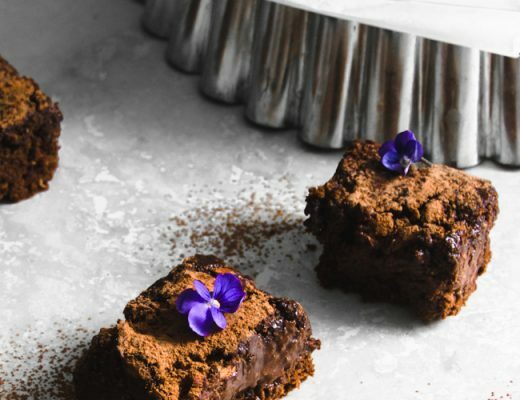 Basically all you need is a blender to mix the ingredients. 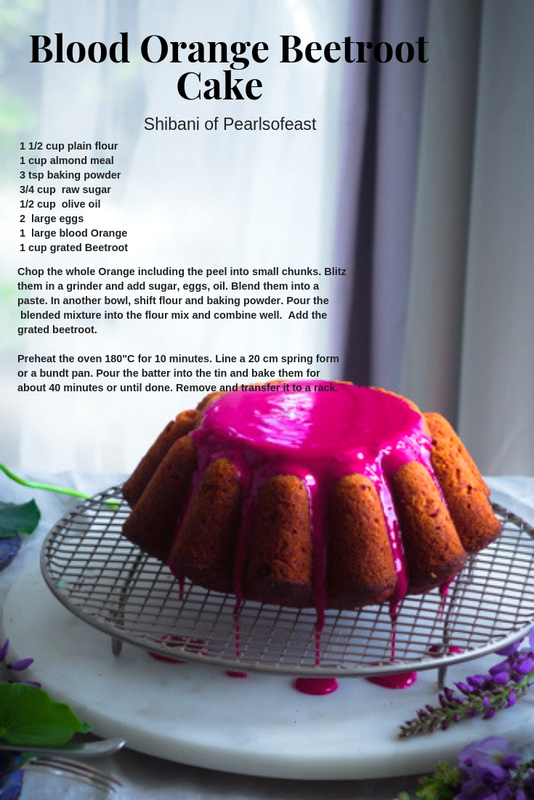 What I like about this recipe is also using the whole orange so no pealing or skinning required, simply blitz the chopped orange. Chop the whole Orange including the peel into small chunks. Blitz them in a grinder and add sugar, eggs, oil. Blend them into a paste. In another bowl, shift flour and baking powder. Pour the blended mixture into the flour mix and combine well. Add the grated beetroot. Preheat the oven 180"C for 10 minutes. 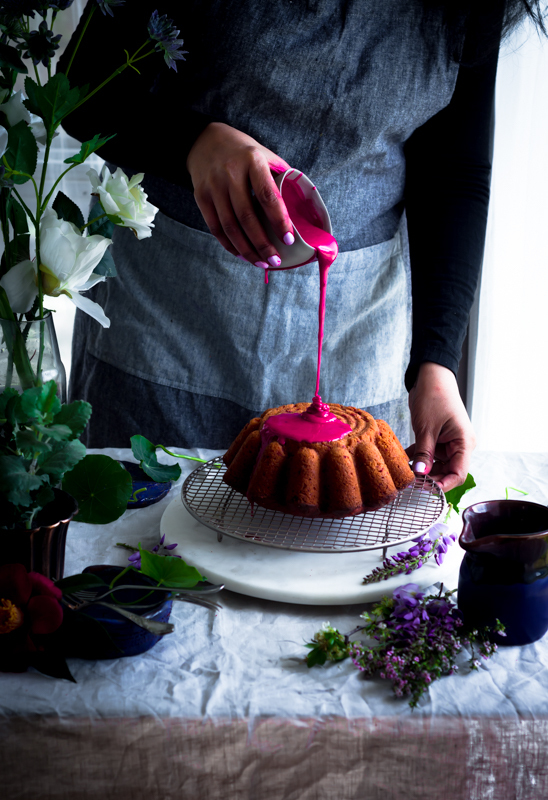 Line a 20 cm spring form or a bundt pan. Pour the batter into the tin and bake them for about 40 minutes or until done. Remove and transfer it to a rack. 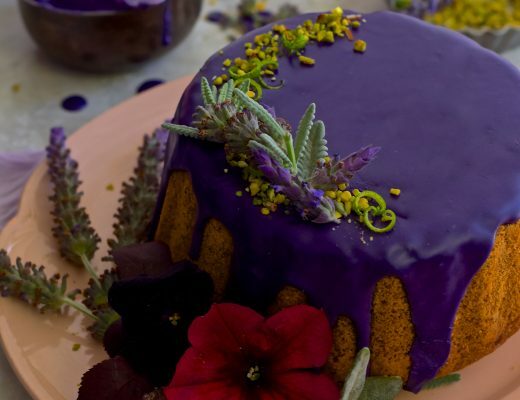 Glaze is optional but I love to jazz up with either syrup or simple icing sugar glaze. The colour of this glaze is stunning and with no added colours, this is by far one of the best glaze I have made. 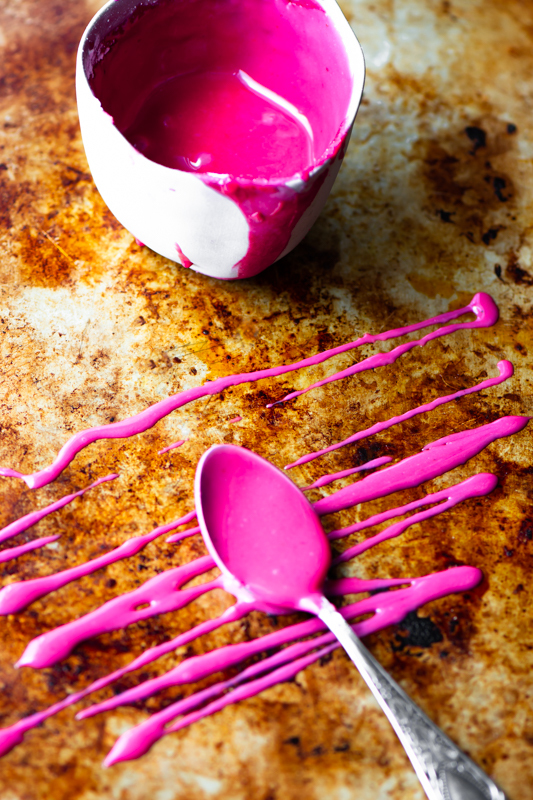 It is hard to trace the earthy flavour of beetroot. 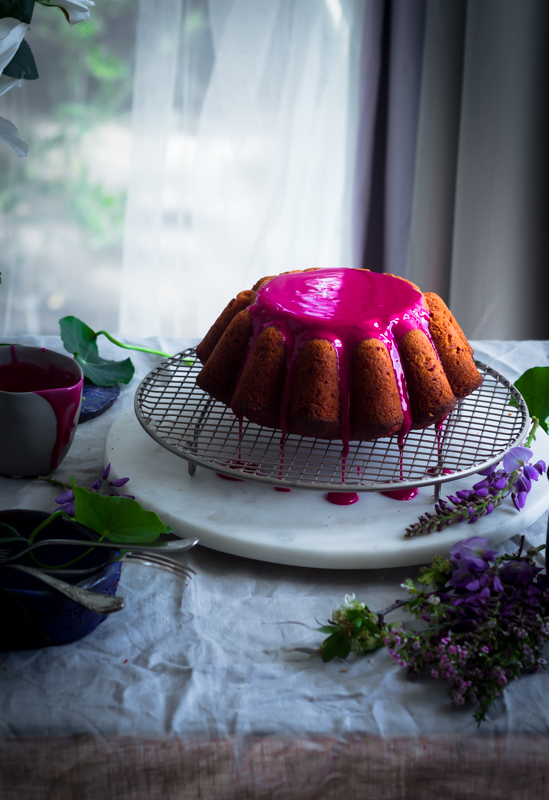 To make this stunning beetroot glaze, shift icing sugar into a bowl. 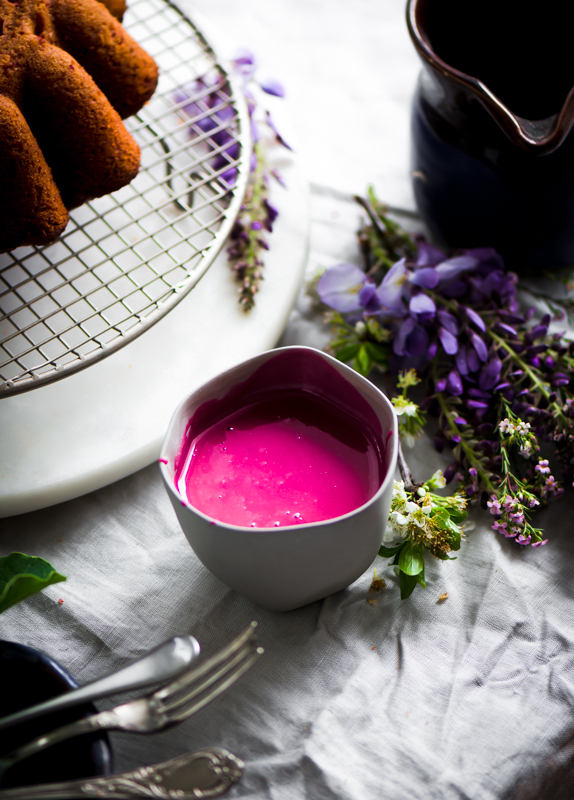 Stir in 2 tsp lemon juice and 2 tbs of beetroot juice from grated beetroot to form a thin paste that coats the back of a spoon. 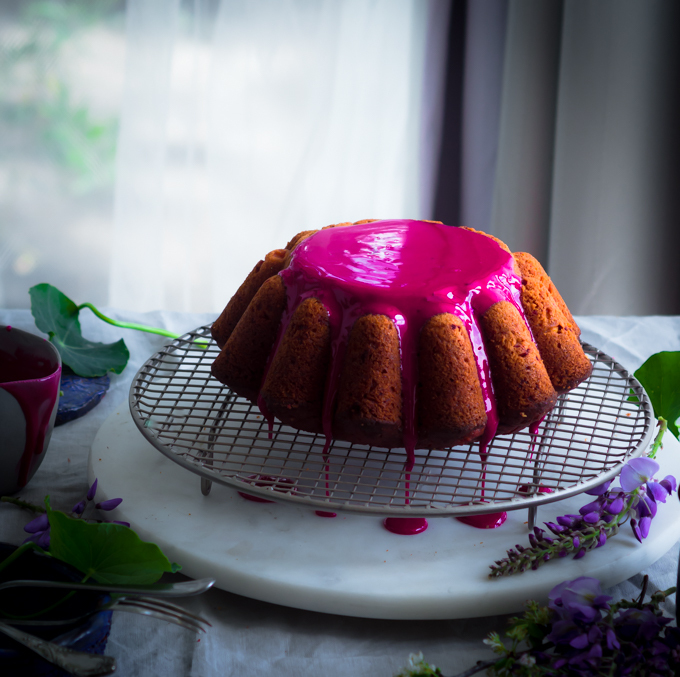 The blood orange beetroot cake is a lovely and moist cake and the robust flavour intensifies more on the next day.